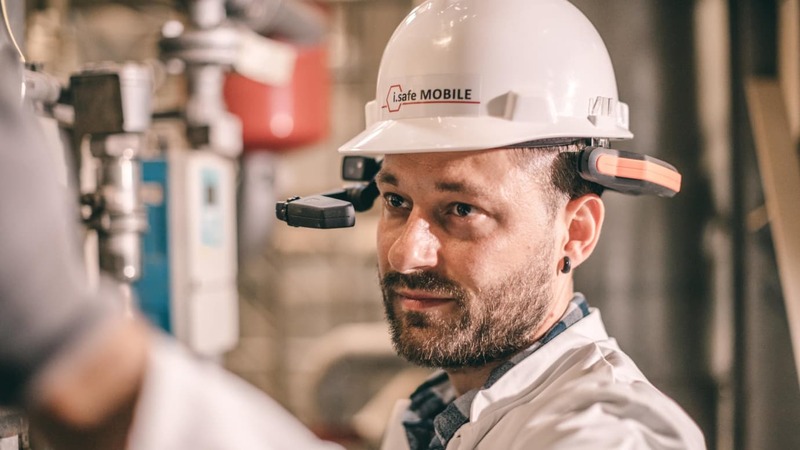 i.safe MOBILE GmbH is launching the HMT-1Z1, the first intuitive and completely hands-free head-mounted tablet (HMT) for work in hazardous zone 1/21. The HMT-1Z1 runs under Android 6.0.1, the apps and functions are activated and controlled by voice. Remote video support allows mobile workers to receive help from the helpdesk, view technical documentation, download IoT (Internet of Things) data, access maintenance instructions and sketches, or record inspection work. Certified to ATEX Zone 1/21 or CSA Class I, II, III Division 1 and IP66 (water-resistant and dustproof) and MIL-STD-810G (fall-proof up to 2 metres high), the HMT-1Z1 is perfectly suited to perform tasks in potentially explosive Zone 1/21. i.safe MOBILE is your expert for mobile communication devices providing safety in explosion hazardous areas. Our products are worldwide tested and certified by renowned notified bodies to be sure that they satisfy all country-specific requirements.